A common question that we are asked is “How do I find my Fakro® Skylight Window Code?”. Fakro® roof windows are commonly installed in loft conversions and open plan kitchens. Finding the right Fakro® Skylight window code is really simple and in most cases no measuring is required. 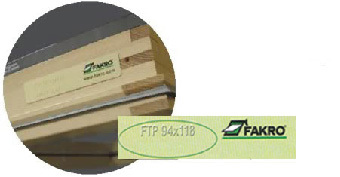 Window manufacturers attach a product plate to the frame giving you the window code.